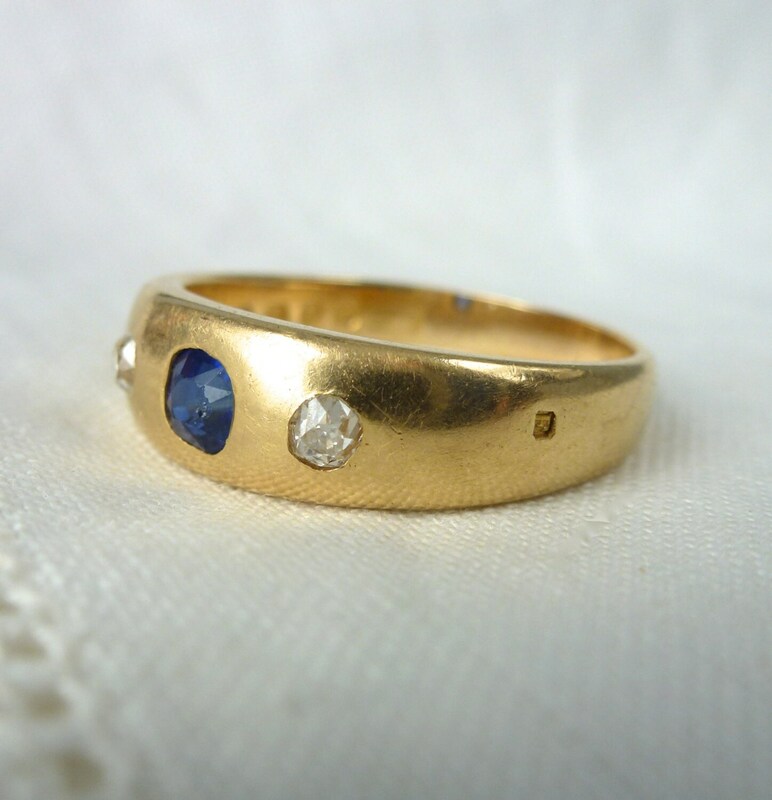 Here is Albert, a wonderful, unique, Victorian man's wedding band in 18kt yellow gold with a gorgeous, older cushion cut sapphire and two brilliant, clear, old mine cut diamonds. 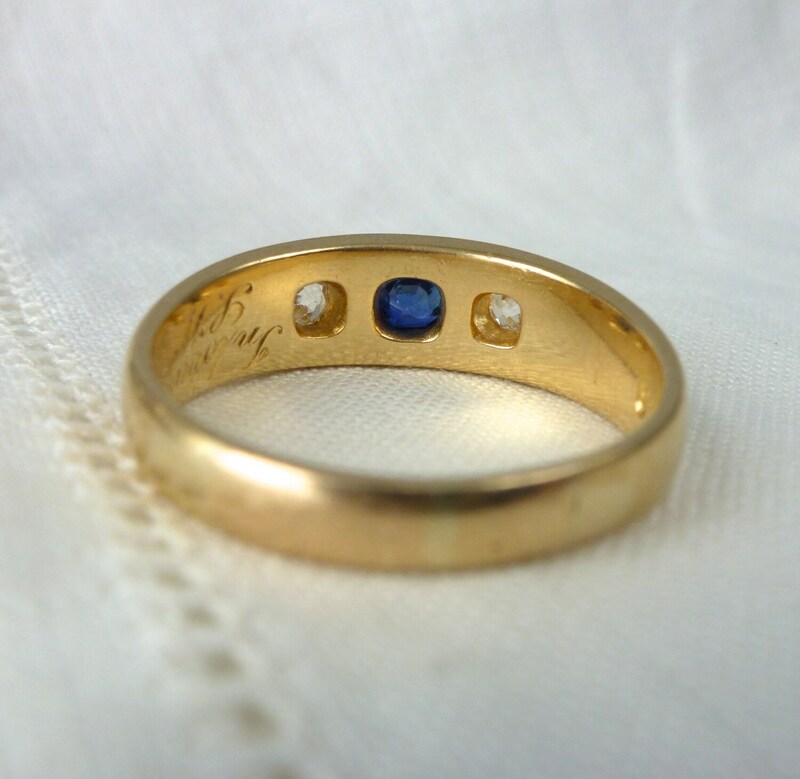 The ring is from England and is hallmarked with the date letter for 1880. Inside is an inscription dated 1883. "In Loving Memory of" and then some initials. 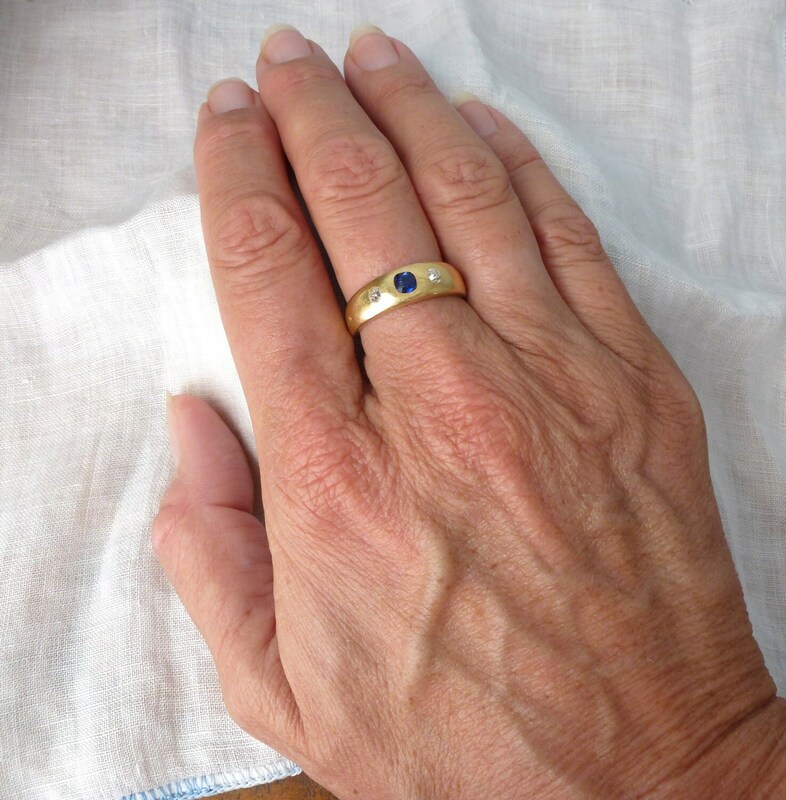 This is a very high quality ring, heavy and with truly wonderful natural gemstones, sapphire and diamond. It is not too showy, but classic and classy. 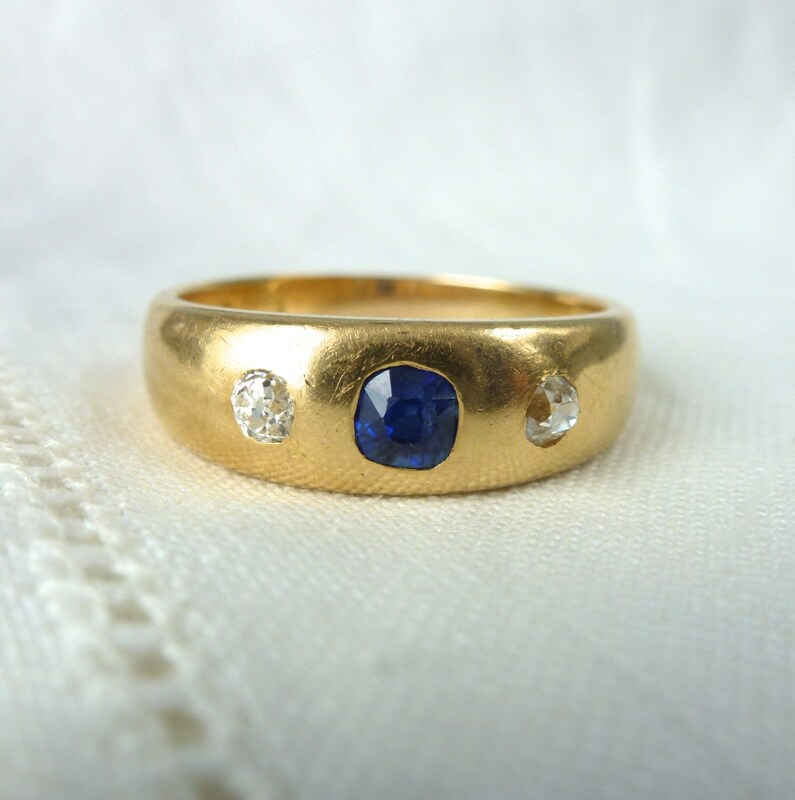 The sapphire shows some wear, especially as seen under the loupe, with a chip, but it does not detract from this incredible, antique piece. It has been sized, so certainly can be again. It will never go out of style! 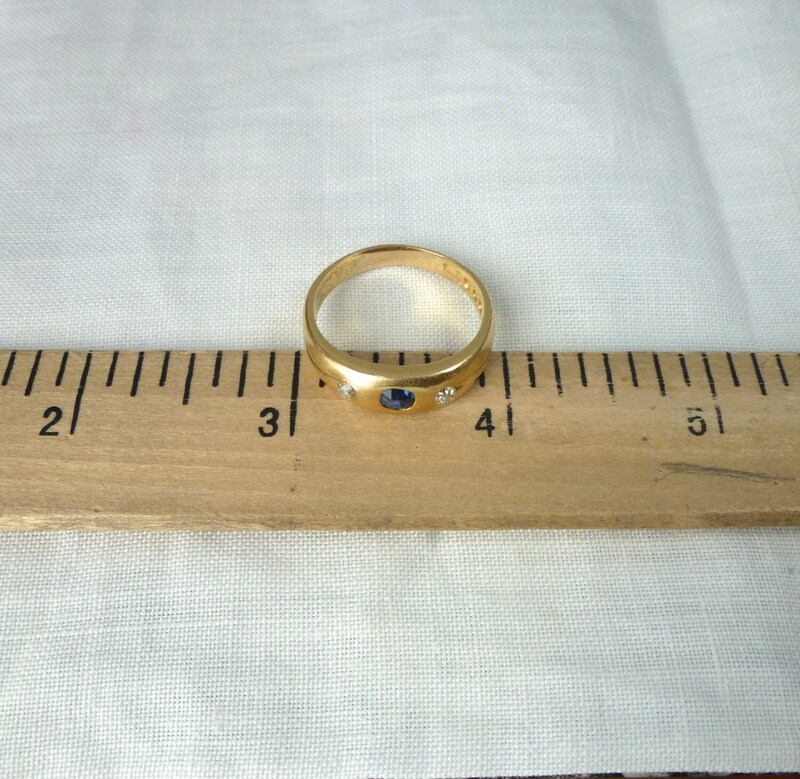 If you are looking for that single, perfect, once in a lifetime wedding ring, Albert is it! I am offering free sizing for Albert, just let me know your perfect size when ordering! Will come in a beautiful ring box and is sent with free Priority shipping and insurance!